‘Nose’ is now a suite of thirty prints, each measuring roughly 15 x 20 cm (5 x 8 in). 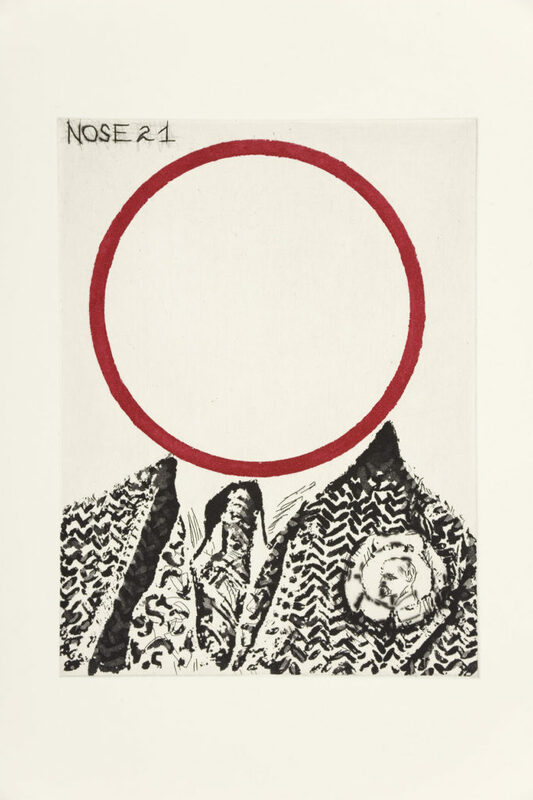 The prints explore a number of techniques but rely primarily on Kentridge’s strong drypoint marks, softened by sugarlift aquatint and punctuated, in several plates, by a strong Constructivist red. Each plate is engraved with a number signaling its place in the series. There are fifty prints in each edition and they have been editioned by David Krut Workshop Master Printer, Jillian Ross. Stephen Hobbs–Landlocked City is showcased in the Lithography Studio.